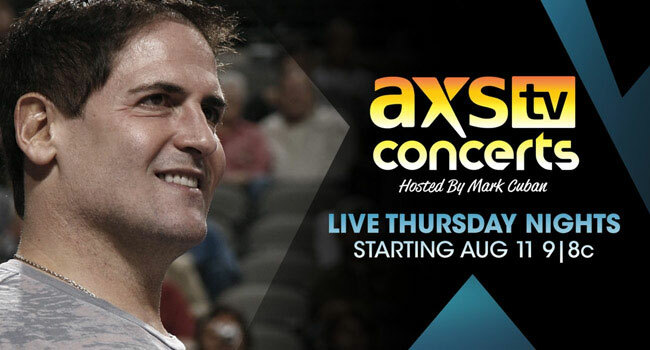 AXS TV has revised its programming schedule for the all-new rock n’ roll series AXS TV Concerts Hosted By Mark Cuban, premiering Thursday, August 11th at 9 pm ET/ 6 pm PT. The special summer event had featured five legendary bands, however, Village People, previously slated for August 18th, has been canceled. The series will air Thursday nights, specifically, August 11th, August 25th, September 1st and September 8th, and features unforgettable sets by four legendary bands handpicked by AXS TV CEO Mark Cuban. Each episode will be 90 minutes long, with Gotham Comedy Live following immediately after at 10:30 pm ET. Filmed live at the The Bomb Factory venue in the center of Dallas, TX’s famous Deep Ellum music district, AXS TV Concerts Hosted By Mark Cuban puts the spotlight on some of the industry’s most beloved bands, as they blaze through their biggest hits in an intimate setting. The upcoming roster kicks off with classic rock n’ roll hitmakers The Monkees in their first-ever live television performance (August 11th); and also features heavy metal all-star Bret Michaels (August 25th); funk masters KC And The Sunshine Band (September 1st); and multi-talented rock group Bad Company (September 8th).